I’m glad I judged this book by the cover. If Odette had not send a picture to me via WhatsApp I wouldn’t have discovered it. Knowing what I would miss now, that would be quite a shame. Although London + steampunk is always interesting, so there wasn’t much that could go wrong. And it didn’t. Flights and Chimes and Mysterious Times even surprised me in the beginning by how good it was. The story immediately managed to grab me and transport me to a world, even though it was my first week of starting a new workplace and having only five to six hours sleep at night. But even through my tired haze I made time to read this. It’s a little silly of me, but I didn’t expect it to be so much like reading a Neil Gaiman or Ransom Riggs novel. I loved the amount of creepy it posessed. Hangings were described with some detail and darker subjects weren’t pushed away. I only applaud this. What I loved the most is that the main character truly has the mindset of a kid. He’s easily manipulated and the writer isn’t afraid to fall into temptation. To me, this was refreshing since most main characters in children books are always able to outwit the antagonist during the entire book. Emma Trevayne didn’t do this, but still managed to let Jack have the qualities of a kid who thinks he can triumph over all the evil beings in the world (which he does for the most part). Yet, the story could have a better flow. In assembling the clock that is her story Emma Trevayne may have mixed up some parts or took spare parts from other things. The elements to her conclusion are all there, but at the second half of the book they just pile up and up. To me everything happened a little too quickly and the main ingredient to ending conclusion could have been introduced better. Besides, near the end I’m still left with questions. Is the golden room the remembrance to a war from the past? Where does the Lady come from and why is she what she is? Are Dr. Snailwater and Xeno faeries? You tell me. 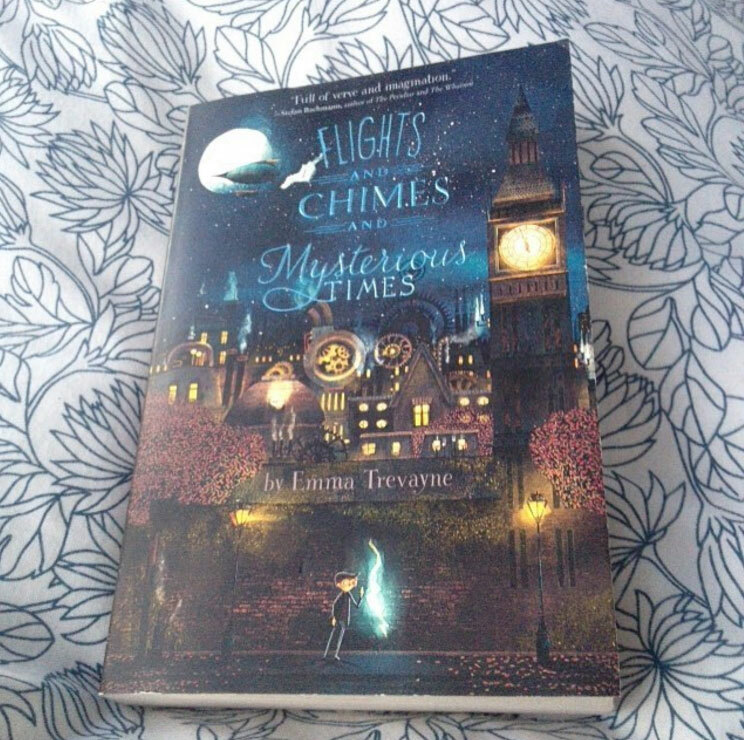 Flights and Chimes and Mysterious Times is a novel by Emma Trevayne. This review was first published on june 2016 on Goodreads.